A wrongful abortion claim requires proof that the fetus was, in fact, healthy. As a practical matter, this means that the parents would need to have had reason to suspect wrongful abortion in the first place, and then go to the not-insignificant trouble of arranging for detailed post mortem testing. To find a defendant physician liable, courts will usually require a finding of either damage to property or economic loss. Because an unborn fetus isn’t considered “property” in the usual legal sense, and as raising a child for 18-plus years is inevitably an extremely expensive proposition, these avenues are usually closed to plaintiffs. To make matters even worse, the vast majority of state courts don’t allow for any recovery at all if the abortion occurred before the fetus was viable. The bottom line is that it’s extremely difficult to get a wrongful abortion claim to stick, and Ms Chapman would likely have been out of luck. The inability to effectively bring a reproductive malpractice action isn’t limited to wrongful abortion. All sorts of reproductive medicine claims, including botched vasectomies and in vitro fertilization mixups, among others, are only superficially policed by malpractice law.6 This blind spot probably stems from some combination of the lingering stigma around infertility and the pervasive governmental reluctance to regulate these new technologies. In combination, this stigma and reluctance shield reproductive medicine physicians from the malpractice constraints imposed on their peers in other specialties. There’s no obvious reason why this discrepancy should exist: reproductive medicine physicians are human, after all, and they make mistakes, just like everyone else. 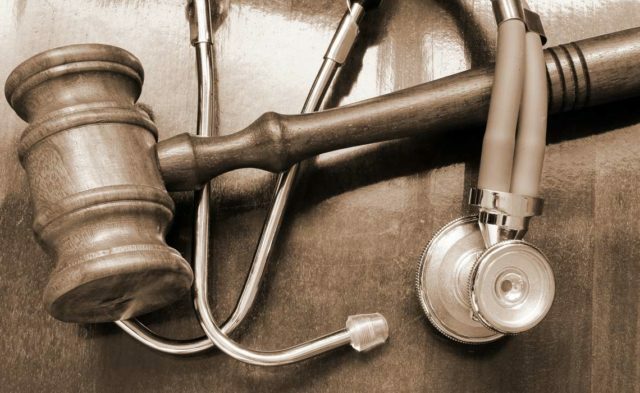 Recently, however, there’s been a (small) groundswell of support for changing the malpractice rules to make it easier for reproductive medicine patients to recover damages. There are a number of forms that these measures might take, ranging from toughening the criminal penalties to imposing a system of civil fines, but the common thread is that any reforms are likely to require state and federal legislative bodies to rewrite some of the laws governing the reproductive medicine as a whole. That leaves physicians with a choice to make. Physicians control a powerful lobby — wholesale changes to healthcare laws don’t happen without at least tacit approval from the American Medical Association — and so could likely defeat, or at least severely undermine, any nascent attempt to impose tougher malpractice standards on the reproductive health industry. But should they? The question comes down to whether that second telephone call from Ms Chapman’s obstetrician — the call that saved her pregnancy — matters. As it stands now, the law sees her physician’s conduct before and after the second call as a distinction without a difference. In either case, the likelihood of triggering malpractice sanction is vanishingly small. The message is clear: the standard of care will not be enforced. There’s no assurance that patients will receive a minimum quality of care, no mechanism encouraging patients to seek out top-performing physicians, and no particular pressure on lagging physicians to get their act together. Do we want physicians to make that second call, or not? Daley B. Oversold and misunderstood. New England Center for Investigative Reporting. December 13, 2014. https://www.necir.org/2014/12/13/prenatal-testing/. Accessed July 24, 2018. Trisomy 18. National Institutes of Health Genetics Home Reference. https://ghr.nlm.nih.gov/condition/trisomy-18#genes. Published July 31, 2018. Accessed July 24, 2018. Aleccia J. UW experts shed light on false positives in prenatal tests. The Seattle Times. April 1, 2015. https://www.seattletimes.com/seattle-news/health/uw-experts-shed-light-on-false-positives-in-prenatal-tests/. Accessed July 24, 2018. Fox D. Reproductive negligence. Columbia Law Rev. 2017;117(1):149-241. Close more info about Reproductive Recourse: Why Are Reproductive Malpractice Claims So Challenging?